MM - Music Man™ There are 2 products. 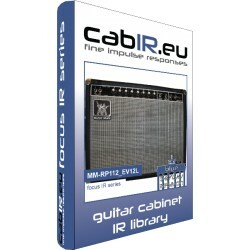 SPEAKER CABINET IMPULSE RESPONSE LIBRARY Based on a MusicMan™ 112 RP One Hundred from 1979 with a 1x12“ ElectroVoice™ EV12L speaker. 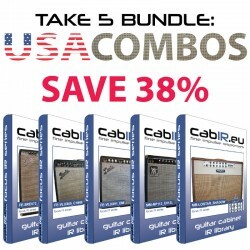 Included in the TAKE 5: USA COMBOS with 38% OFF!